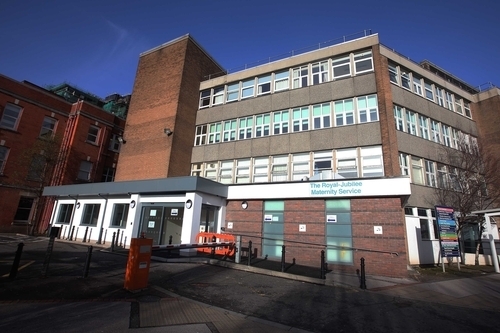 The Medical Director of the Belfast Trust has contacted the family of Baby 3 to inform them that an investigation is ongoing into issues around their baby’s medical notes, including interviews with staff members. Following the publication of an interview with the father of “Baby 3” who criticised the trust for a lack of contact with his family, Dr Tony Stevens has written to the family’s legal team to address a number of concerns they had raised in a previous letter that was sent over two months ago. However, the family’s Solicitor Ernie Waterworth has said that, while he welcomes that the trust has finally responded and they are investigating the matter, the family are still in the dark about why cuts Baby 3 sustained are not in the medical notes which were given to the family. On April 16 2012 Mr Waterworth of McCartan Turkington and Breen wrote to the Medical Director of the Belfast trust on behalf of the family. “There was an incident that occurred on January 14 when my clients received a telephone call advising that their baby had sustained three cuts, one on the cheek, one on the left hand and one on the lower leg right hand side. They were advised that the nurse taking the line out had torn the skin. We note from the medical records received there is no reference to this incident at all. “There appear to be a number of redaction in the notes- please clarify the position. “We appreciate this is a very difficult time for all concerned, however we are not permitted to discuss the care and treatment of individual patients. Dr Stevens also attached the Neonatal Unit Policy in respect of Infant Hygiene which had been in place since 2002. The trust only introduced the use of sterile water for nappy changing on January 17 2012 and prior to this date adhered to the 2002 policy. The policy outlines that staff should “Inspect the baby’s skin for any redness or breakdown, report any skin breakdown. Inform the tissue viability team if necessary.” Under procedures it also states that staff should “document findings in nursing notes and on observation notes”. Mr Waterworth believes this policy was not followed during Baby 3’s time in the neonatal ward at the Royal Jubilee Maternity Hospital.